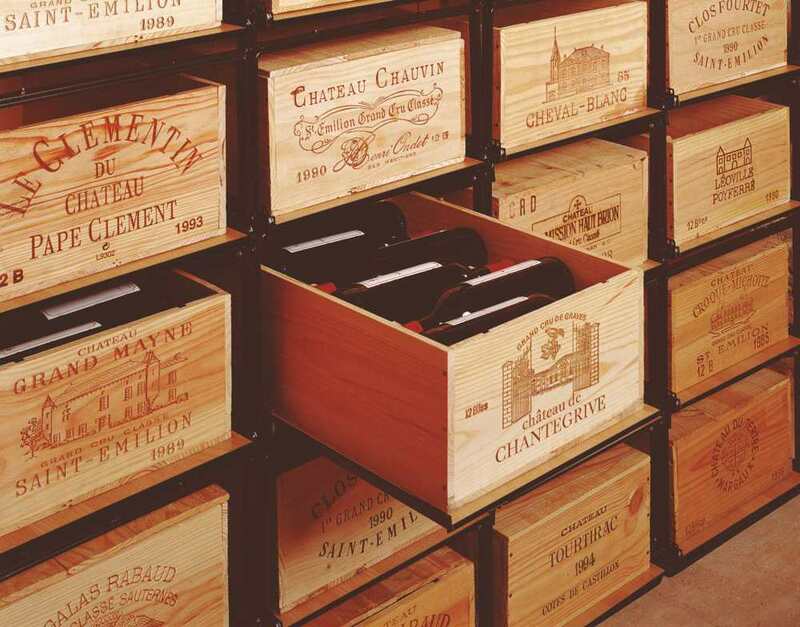 Showcase wine in original wooden boxes. Connect units to create display of any size. 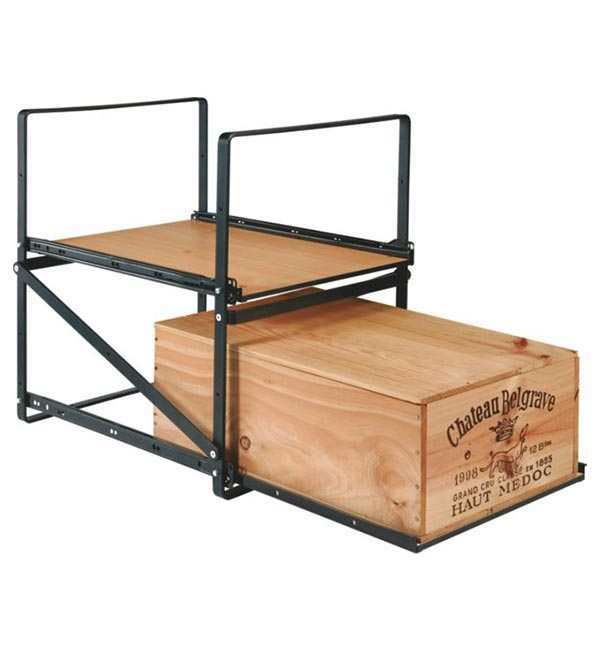 Steel frames with roller mounted trays for easy access. Adds a personal touch to your wine display. 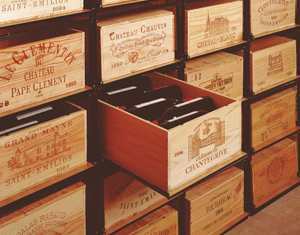 Wooden boxes perfect for bulk wine storage. 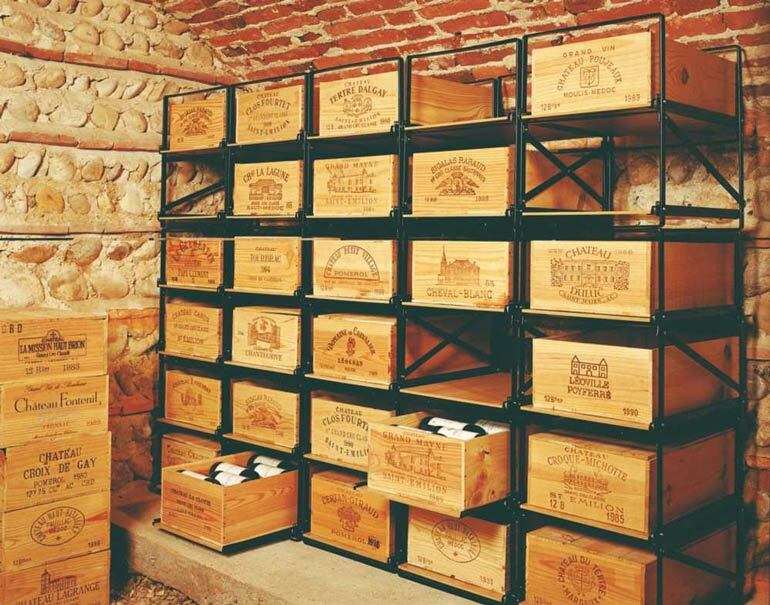 EuroCave Modulorack is a unique system for showcasing your wine in its original wooden cases. A practical and visually striking way to display your wine. Metal frame with laminated timber tray. Can fit a bench-top above 2 or more units. Trays are roller mounted for easy access to each box. Multiple units can be bolted together side by side or on top of each other. Fixes to floor and wall. Wooden wine boxes are not included. 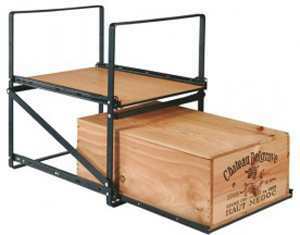 Wooden wine boxes are not included but from time to time we have limited quantities that we are able to sell to clients to complement their Modulorack unit. Please enquire regarding availability.